Observing the waves crashing onto the shore. 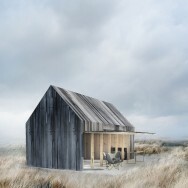 Nature's golden silence might overcome you, when staying at the boat house by WE Architecture. 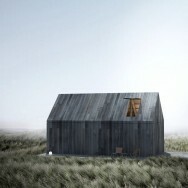 Build with no windows to keep the clean lines of the building intact. 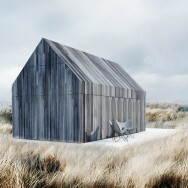 WE Architecture is a young innovative architecture office based in Copenhagen, Denmark. 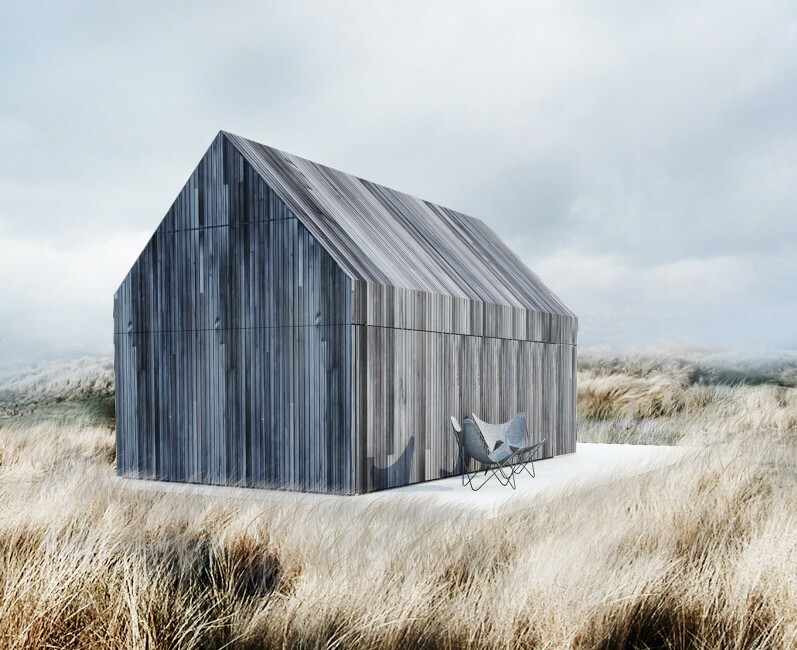 They have set up the boat house as a private assignement, located on the beach 20 metres from the water edge in the beautiful surroundings at Svallerup Strand, Denmark. "Cedar wood has been used for the construction due to its ability to withstand the elements and its fantastic silver grey patina. 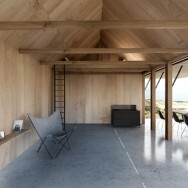 Inside, the boat house is one open room with beams. Concrete is used for the floor with the possibility to cover it in sand, which makes it impossible to see where the building ends and the beach begins. The floor continues outside, which creates a terrace area to the west and south."